General control over the conduct of matriculation examinations into all Universities, Monotechnic, Polytechnics, and Colleges of Education (Federal, State or Private). 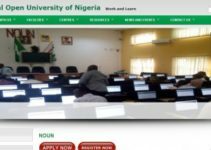 This article is to help candidates who find it difficult to walk their way through the JAMB CAPS portal. More importantly, to provide an in-depth insight and information about JMAB CAPS portal which will enhance the usage of the portal by users who visit the site. Jamb Central Admission Processing System (CAPS) is a new initiative for admission method which began in the year 2017. It is through Jamb CAPS you can check and accept Jamb 2019 admission. JAMB CAPS is introduced for the purpose of transparency, credibility, and accountability of admission process. 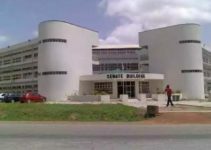 The CAPS system is designed in such a way that Nigeria Tertiary Institution can only admit candidates who meet their cut-off points. A candidate who fails to meet the cutoff mark would be denied admission despite his or her ‘connections’ in the society. You will also use the portal to accept admission once you have been offered admission to your school of choice. Visit JAMB Profile Login to create a profile via the Sign Up (New User) Page if you are a new user. In order to create your profile, there is need to provide an email address, Name (Surname and First name) Mobile No, State and LGA of Origin and lastly password, then click on the Sign-Up button. To log in: all you need do is to enter your e-mail which is your “username” in the username box or space and your “password” in the password box or space. It is expected you do not accept if your portal reads “NOT ADMITTED “, whoever does that is at his/her risk. If your portal read “ADMISSION IN PROGRESS, CHECK BACK LATER “, it means your school is yet to release admission list. It is not advisable to use the CAPS portal until the school you choose has released the admission list. Immediately you click on “accept” admission offer, it cannot be reverted. If your admission status or other details are blank or do not show, JAMB is still in the process of uploading the details, so don’t relent, keep checking. On your portal, if it reads “APPROVED “, it means Jamb has approved your admission and you have been admitted. Visit the jamb caps admission checking portal using this link http://caps.jamb.gov.ng/acceptadmission.aspx. IF the first link does not work for you, use this one http://caps.jamb.gov.ng/app_candidates/candidateprofile.aspx use Google Chrome or web browser (do not use opera mini). Instantly the home page of the JAMB CAPS Central admission opens. The next step is to enter your Jamb registration number in the box or space specified as UTME Registration Number. You then click on the submit button. Your details (as inputted during registration) including Jamb score, institution, date of birth, etc. will appear. THE GUIDELINE BELOW IS TO ACCEPT ADMISSION STATUS. If you are given admission and you like the school then click on On admission profile, accept or reject offer of admission. If the institution and course space is empty or you have not been offered admission then don’t click on accept admission. Log out and check back over and over. Do not be in haste but be careful to accept admission when you are not offered or when you have a higher chance of gaining admission in a better school. Immediately the admission offer is accepted, admission provision for that year is over. Note: Acceptance or rejection of admission offer is free and does not attract payment. After accepting your admission offer, you can then proceed to print your admission letter on JAMB portal. Candidates need to check their admission status first on the JAMB website so as to confirm the admission and to know whether the admission letter is ready. Visit this link: JAMB Admission Status. If you get a congratulatory message and the details on the admission notification page are correct, proceed to Step For existing users, simply type in your login details. Subsequently, you shall use your email address and Password to Sign In. Move your cursor to the“Print Admission Letter” and select it. This you can find by the sidebar or on the Home page. Once you select the option above (number 5), a Transaction ID is generated. This is displayed on the confirmation page screen. Review the details displayed on the Confirmation Page. Ensure you write it down for future purpose. The Transaction ID is used for all future references concerning the Transaction. A copy of this transaction ID will be sent to your registered email address. Click on the Continue button if you wish to pay (N1,000) with your card immediately. If you decide to use other means of payment such as ATM, Cash at the Bank and Quickteller, the transaction ID will also be required. JAMB Registration Number. When all information is correctly entered, you then proceed to print out the Result Slip as shown on screen. Many candidates have been victims of this particular scenario whereby they mistakenly click on accept instead of reject and vice versa. Don’t panic as there is a way out. 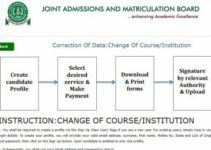 The following is to be done when there is a mistake made in accepting or rejecting admission status on JAMB CAPS portal. When such mistake is made, all you need do is to visit the JAMB office closest to your location and lay your complaint, which is you mistakenly accept or reject your admission. The officer will direct you on what to do and what step to take. My assertion on this is “prevention is better than cure”. It’s better to follow the ideal process because the procedure involved in correcting any mistake done can take longer time than anticipated. JAMB CAPS is to ensure the smooth process of entrance examination into Nigerian tertiary institutions. More so this is an upgrade to foster ensure that prospective undergraduate who gain admission to their school of choice duly get it. JAMB CAPS which involves the printing of admission letter is a very welcome and excellent idea and this will ensure that schools release their admission list on time. Thus it is important that every students or candidate get acquainted with the operation of this portal.